Super Cute, Tons of updates, Move-in ready, and Immediate Possession! 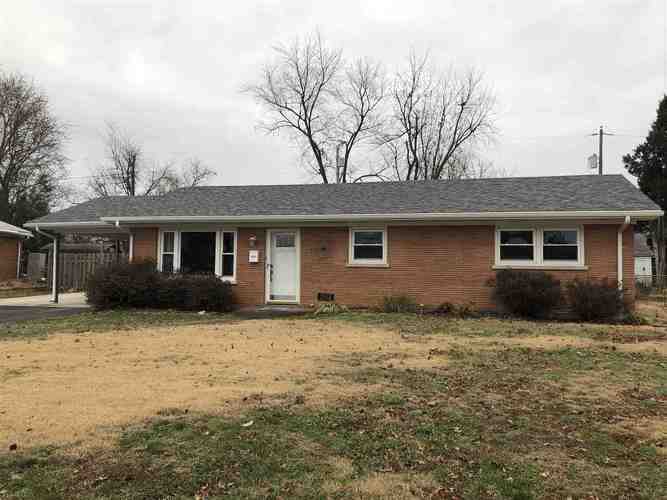 You don't want to miss this all brick 3 bedroom, 1 bath home that offers an updated kitchen with stainless steel appliances, an updated bathroom, and brand new carpeting throughout. In addition there is a full basement that can be finished for additional space. Laundry is in basement and washer and dryer are included in sale. Healthy Spaces has installed Power Brace system on all basement walls. Entire upstairs has been re-wired too! Outside you'll find just as many updates with a newer roof (2 years), brand new gutters, downspouts, and soffits, and newly poured concrete in covered carport. Not to mention the large back yard is completely fenced in offering a great place for kids, pets, or outdoor entertaining! Seller is offering an AHS one year home warranty in the amount of $520.00 for additional peace of mind. Directions:Washington Avenue to South on Weinbach. Turn left on Taylor. Home is on the right.